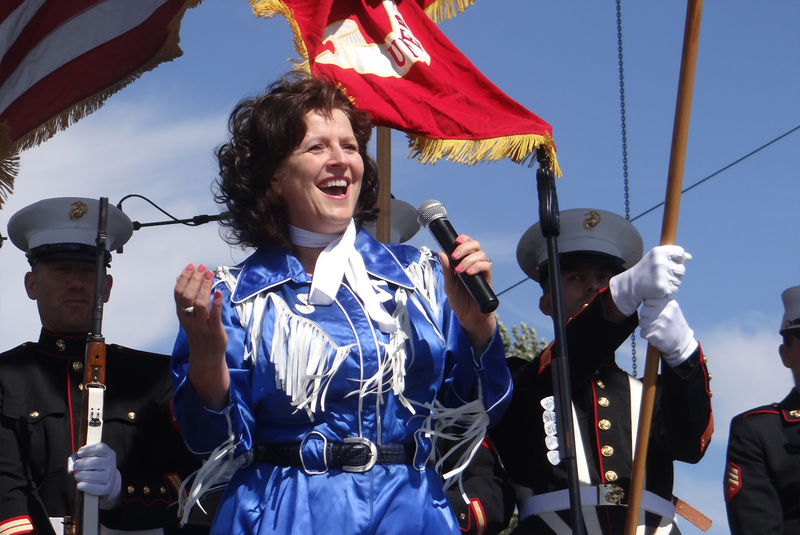 Patsy Cline and her music are more popular than ever and Colleen Raye’s Musical Tribute to Patsy Cline is a celebration of just that! Singing Patsy’s greatest hits like, “I Fall To Pieces”, “Crazy” “Walkin After Midnight” and some lesser known gems including “You Belong To Me”, “Stop Look and Listen” and “Eyes of a Child,” regional songstress Colleen Raye brings the essence of Patsy Cline into the room. She sings with a heartfelt sincerity and skill that is rare, while also sharing stories of Patsy’s life. Colleen’s charming stage presence, natural charisma and sense of humor have people singing along and even yodeling along to some songs. You’ll be laughing and singing one moment, and then transported by one of Cline’s tear-jerking love songs, you’ll find hand holding and moist-eyes. Backed by a quartet of excellent musicians, this show is a crowd pleaser every time.